The drama in Washington today concerns Nancy Pelosi. 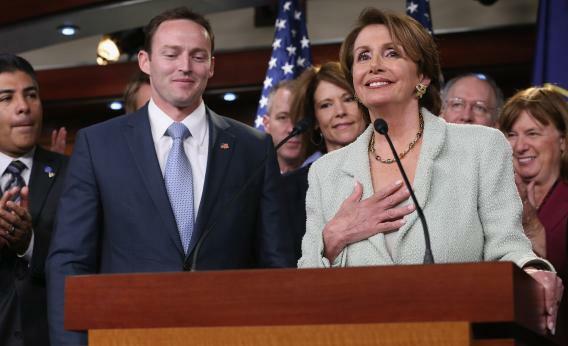 Will she quit her 10-year leadership of the Democratic caucus in the House? It’s unusual for party leaders to do such things after they net seats in elections, and Pelosi’s Democrats gained eight seats in a map that was drawn against them. Interesting take here: Had more people voted for Romney, he would have won the election. The Onion: Doing preachiness just right.